Identity Fraud Expenses (obtaining new documents, etc.) and more. This section provides cover for the mismanagement of the company resulting in a legal action (lawsuit) against the company’s directors & officers. This section covers the directors/officers for an alleged Employment Practices breach. These can include wrongful/unfair dismissal, harassment, discrimination, bullying, whistle-blower, etc. This section provides fines and penalties cover for the directors/officers when there has been an alleged statutory breach. Examples of these are workplace health & safety, employment practices laws, workers compensation laws, environmental protection authority, spam and privacy laws, industry specific rules & regulations, etc. This section of the policy provides cover for the same claims scenarios as Section 1 (ML/D&O) but is only triggered when the Company has had to indemnify (pay) a Director/Officer for a claim. Management liability insurance covers a range of crime related occurrences when there has been a direct financial loss. This can include employee fraud or dishonesty, third party crime, electronic and computer crime, destruction and damage of money, crime by shareholders, etc. This exclusion is part of every Directors & Officers policy and excludes dishonest or fraudulent acts committed by an insured. It can extend to exclude intentional violation or breach of law/ regulation and unfair profit or gain to which an insured has no legal entitlement. It is worth noting that most policies defend the Directors & Officers until final non-appealable adjudication and policies typically include severability clauses which state that a Wrongful Act or conduct by one insured shall not be imputed to other insureds. This exclusion removes any coverage if a claim arises out of insolvency. This exclusion can typically be removed if the company can show that they are in a good financial position and can cashflow the company for 12-18+ months. Coverage can be included by endorsement, but the insurer’s need to underwrite the capital raising by reviewing the offering memorandum/prospectus first. States that the policy will not cover any pending or prior litigation involving the Company that has begun before the Prior & Pending date of the policy. Excludes claims where cover, payment, service, benefit and/or any business or activity would violate any applicable trade or economic sanctions, law or regulation. There are many variations to this exclusion, but the main purpose is to not cover a dispute between insureds and/or the company. The policy will not respond to a Bodily Injury & Property Damage claim as this exposure is typically covered by a Public Liability policy. This exclusion usually has a write back (gives coverage back) for Defence Costs, Employment Related Wrongful Acts and Security Claims. This excludes any wrongful act committed or alleged to have been committed prior to the inception of the policy. This is a way for insurers to exclude past acts and make the policy only forward looking. This exclusion removes coverage in connection to the performance of or failure to perform professional services. In basic terms, an insured must disclose any matter they know to be relevant to the insurer’s decision to accept the risk. Continuous disclosure is also very important. If there is any material change to the company during the policy period, the insured needs to keep the insurer informed of the change. It is crucial to understand your Directors & Officers policy and it’s specific exclusions. Insurer underwrite all public company Directors’ & Officers’ policies and they will add customised exclusions as they deem fit. It is important to understand what these exclusions mean and if there are any reporting requirements (ie. Capital raising threshold exclusion). These are usually automatically excluded under Management Liability policy wordings and need to be added on as a case by case basis. Timing is extremely important on ML, especially when it comes to reporting claims as these policies are written on a Claims Made policy form. This means that in order to trigger a claim the demand/claim must be reported and indemnity granted during the period of insurance. So, if a policy is lapsed and a claim is reported after the policy period the claim will be denied. Territorial limits outline how a policy will respond for claims occurring worldwide. This can vary, but typically an ML policy will have worldwide cover, but excluding cover for actions brought up in a North American court. In this example, if a claim occurs from a wrongful act committed in North America but is brought up in an Australian court under Australian law, the policy will respond. If the claim is brought up in a North American court, the policy will not respond. In this scenario you would be required to obtain a locally administered policy in the excluded country (USA & Canada in this example). Proceedings were commenced by the minority shareholders against a clothing store chain and its majority shareholder. The minority shareholders alleged that their interests had been unfairly prejudiced by a recent share option, which was uncommercial and diluted their interests. An order was sought that the majority shareholder or the business acquires their respective interests at a specific price per share. The matter settled on the first day of hearing on the basis that the majority shareholder agreed to buy the minority shareholders’ interests at an agreed price on a without prejudice basis. The clothing store chain was advanced Defence Costs and incurred a total of $725,000. A company is sued by its former agents after it terminates their contracts in order to replace them with fulltime staff. The agents sue for non-payment of commission. Overall settlement and defence costs reached 6 figures. A construction company faced allegations that it had failed to ensure that employees of sub-contractors were not placed at risk of injury from the use of a mobile crane, in breach of the Work Health and Safety Act. The construction company was investigated by the relevant authorities and a claim was filed. The construction company incurred a fine of $100,000 and defence costs of $150,000. An investigation finds that a hotel has breached the maximum capacity specified by its Liquor Licence. A 5 figure penalty is payable. A company is prosecuted following an accidental breach of regulations concerning a protected wetland site. No damage is identified and there is no finding of a deliberate contravention or motivation to save costs. While a 7 figure corporate penalty is possible, a guilty plea for the accidental breach results in a 5 figure penalty. A senior employee is dismissed after lodging complaints of bullying and aggressive conduct by the managing director. Complaints are also made of racial discrimination and disability discrimination. Action is commenced in the Federal Court and the matter is settled for a 6 figure sum. A pregnant employee is dismissed for non-attendance. The manager who dismissed her says he was not aware of her pregnancy – although the company fails to reverse this decision when the employee produces confirmation from her G.P. The case is settled for a 5 figure sum. A female employee is made redundant. She complains her line manager constantly belittled and insulted her in front of colleagues with cutting remarks and offensive comments. The case is settled for a 4 figure sum. An employee complains of being asked to form an unacceptably close relationship with a client. The employee claims that once they refused, they were dismissed. The case is settled for a 5 figure sum. An employee who processes invoices also has access to the supplier creation system. The employee sees that when invoices are approved for payment, the financial controller examines the largest payment in detail and then signs the rest. The employee creates a false supplier and makes many small payments totaling thousands of dollars over several months. A quality control manager labels undamaged goods as substandard to be marked for disposal. His accomplice, the company’s stock manager, arranges for the “faulty” goods to be removed from the premises and the goods are sold off in pubs and on internet auction sites. An employee is empowered to negotiate discounts with clients up to 20%. He approaches his closest clients and agrees that their current discounts of 5% can be quadrupled on the understanding that the additional discount is split between client and salesman. 1. Shareholders can hold Directors and Officers liable for numerous wrongful acts, such as misleading/deceptive or inaccurate disclosures, not acting in the best interest of shareholders, misappropriation of company funds, errors and omissions in financial reports and many others. 2. Regulatory authorities can conduct investigations and initiate claims against directors and officers for breaches for OH&S, financial markets misconduct and environmental breaches; just to name a few. 3. Employees claims can consist from wrongful dismissal, sexual harassment, failure to promote, discrimination, unsafe working environment and other employment-related risks. 4. Crime claims can consist of the company itself being defrauded by employees or third parties (customers/suppliers) suing for employee dishonesty or fraud. 5. Customers/Clients can sue for misleading or deceptive conduct or third- party Employment Practices Liability claims. 6. Creditors can claim for allegations of being misled or trading whilst insolvent. Annual Turnover / Revenue is used as it typically indicates the size of the company and its corresponding risk exposures. Number of Employees is another indicator of a company’s size and corresponding risk exposures, but also largely influences the EPL exposure which makes up a significant portion of an ML policy. Claims History of the specific company. Details of Operational Activities and company specific information. This information influences the company’s risk exposures and possible claims. The cost and availability of a policy is determined by the industry, as each industry has different risk exposures and claims tendencies. Financial Strength (insurers may ask to see financials in some cases, but this is not common for smaller companies). This is another tool insurers use to analyse a company and determine their individual risk exposures. so the insurers have the necessary information to properly underwrite and quote. "The KBI Directors' & Officers' team are my go to insurance brokers for publicly traded companies that I am involved with. They are one of the few brokerages that passionately understand the junior public company space. The explanation and comparison they provide makes it easy for our key executives to make an informed decision. I regularly recommend their services to other public companies in need of Directors' & Officers' insurance and other operational insurances." 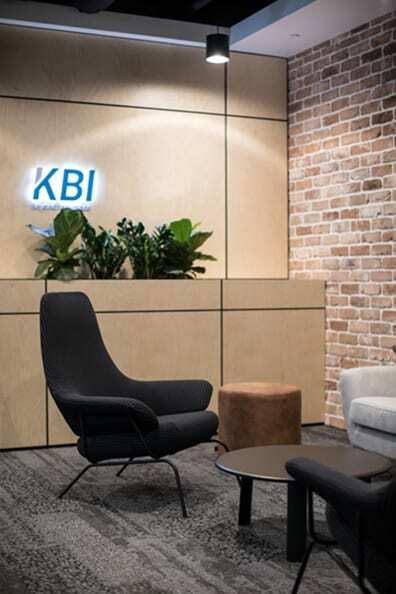 "We have been very impressed with the service and knowledge provided by KBI; they really understand our business and our clients’ businesses. We recommend them to our clients as they focus specifically on public companies and know the insurance needs at each stage of the business cycle both pre and post listing and across various industries. KBI has an in-depth knowledge of Directors' & Officers' insurance and are one of the few WA brokerages that also understand the insurance needs in Canada & the USA." "In a world of increasing complexity and risk, Travis has a rare ability to distil decisions down to the factors which are most important and most relevant. Over the past 8 years of working closely with him, I have learned to trust his experience and instinct as it relates to a variety of insurance products. I enthusiastically endorse Travis and his work. "Through my many dealings with Travis and the KBI team, I have seen firsthand their high level of service and expertise. They have proven themselves to be leaders in the field of Directors’ & Officers’ Insurance and I regularly refer our publicly traded clients to them for advice and the appropriate insurances."